On Friday, Antonelli Cincinnati held its first Lights, Camera, Santa! Event. 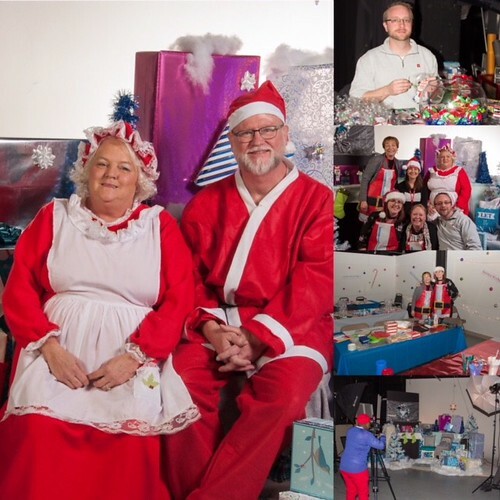 Mr. and Mrs. Claus sat for pictures in a Winter Wonderland designed by Interior Design students and faculty. Photography students snapped photos of fellow students and their families. And kids and grown-ups alike had a blast decorating cookies and holiday ornaments! Student volunteers received community-service hours to put toward a scholarship. It was an event as magical as the holiday season! Thank you so much to all who helped make the event great! Say hello to Antonelli’s Cincinnati Campus’s newest face: Dr. Thembi Carr! Dr. Carr is from the Cincinnati area, and very familiar with the places and uniqueness of our city! She earned her Bachelor’s Degree of Human Development and Family Science with a focus on Family Counseling from The Ohio State University. 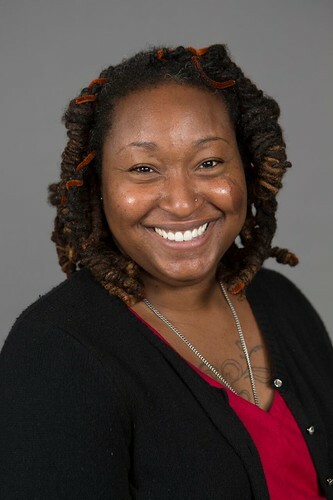 She has received her Master’s Degree and Doctorate in Education (specifically Multicultural Education) from the University of Cincinnati. She enjoys reading, baking, and enjoying time with her family. On Friday, October 13th, Antonelli’s Cincinnati campus held its first annual Freaky Friday Photo Bash! The event featured a gorgeous set designed by Interior Design Faculty Chante Bright and Photo Department Chair Andrea Millette. 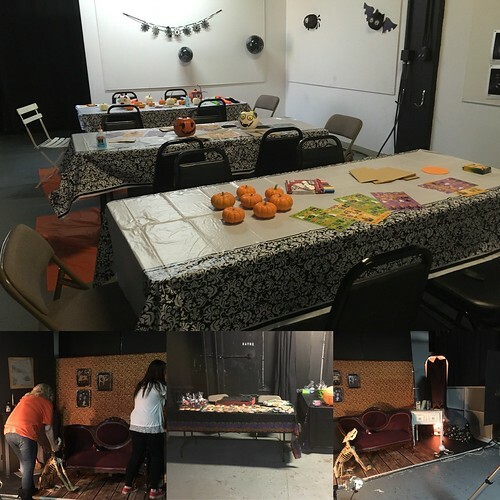 Other activities included pumpkin painting and spooky crafts, trick-or-treat, kids’ games, and family-friendly movies! It was a terrific time; students, their families, and faculty alike had a blast! Stay tuned for our next event around the holidays! Do you want to attend Antonelli College but don’t have your high school diploma yet? No problem. You can now earn your high school diploma on our campus with Penn Foster Pathways program. Contact us today for more information on the program. Today the Ohio Board of Nursing voted to extend the conditional approval of the Practical Nursing program at Antonelli College's Cincinnati campus. Effective immediately, Antonelli College will begin enrolling nursing students for the January semester. On August 24th, fifteen staff members from Antonelli College helped brighten fellow community members’ day by handing out free cookies. Antonelli teamed up with “V’s Café” to give passerby’s a treat and encourage them to “treat themselves to an education.” The sun was shining and it was a beautiful day to spread joy and pass the word along that Antonelli is helping to brighten futures. 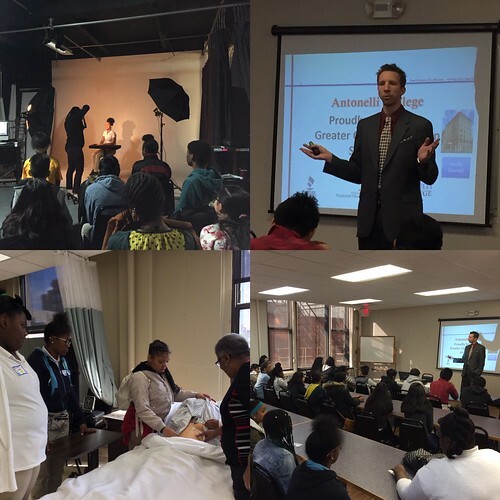 CINCINNATI – Antonelli College is proud of its long-standing accreditation by the Accrediting Commission of Career Schools and Colleges (ACCSC). Contrary to recent media reports, Antonelli College continues to be fully accredited by ACCSC. The Ohio Board of Nursing, who approves educational nursing programs, but does not accredit schools, did suspend Antonelli College’s Practical Nursing program at its Cincinnati Campus. Antonelli College intends to appeal the board’s decision. The leadership of Antonelli College is actively working with affected practical nursing students to seek solutions to help them continue with their education and to help alleviate the inconvenience of this stressful situation. Antonelli College is a participant in Cincinnati Metro's new program "Transit Friendly Destination" program. Antonelli College's downtown campus is conveniently located only two blocks from Government Square, Metro's downtown transit hub. Antonelli College also offers its students a discount Metro card that will let you ride the bus for only $1 each way with 50 cent transfers if needed. Antonelli College is hosting a Medical Career Workshop on Wednesday, October 21st, to showcase some of the equipment that is used in the lab for each program and demonstrate how it's used in the daily job life, as well as what the responsibilities would be once a student graduates from one of the programs. This is a great opportunity for prospective students to learn about the program, check out the facility, and meet with faculty and career placement staff to answer program-specific questions.